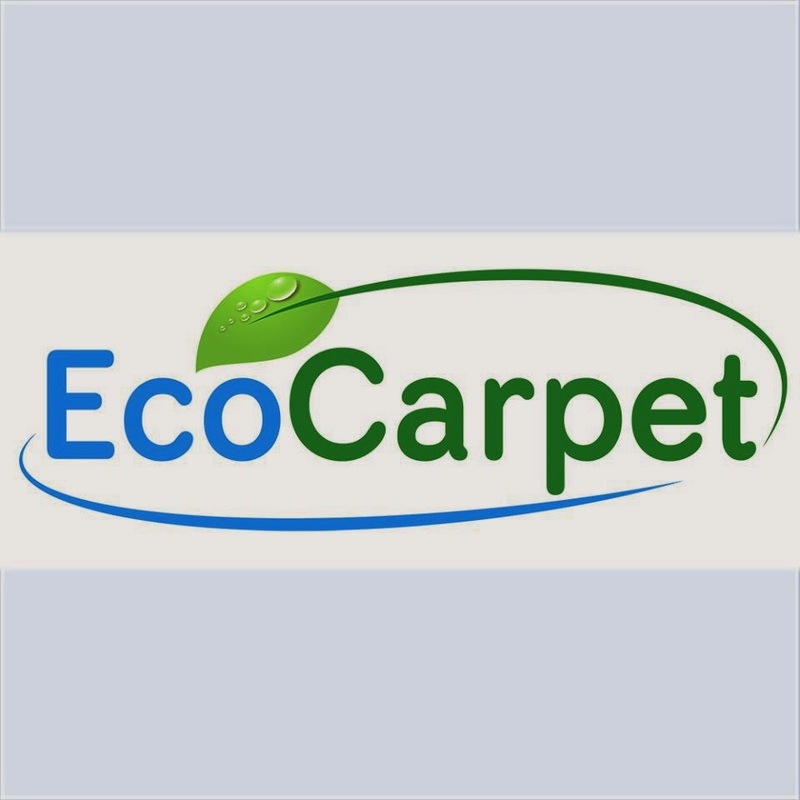 I was given the opportunity to review EcoClean Carpets. I was a little hesitant at first cause I figured my carpets were just too far gone. In the end I LOVED it and learned a lot. I was very happy with their service, quality, product and overall experience. Having your carpet cleaned is a great excuse to clean up. I always find we do the best cleaning when company is coming over. This was a lot more thorough cleanup than just company though. I wanted as much stuff off the floor as possible, which resulted in a lot of clutter sorting, finally finishing projects, clothes sorting, and even cleaning under things like my kids bed and the couch. Why under things you ask? Well because EcoCarpet actually moves and clean under furniture. Not the big stuff like my huge entertainment center, or sectional, but things like chairs, couches and small tables. They even moved my daughters little toddler bed. Granted I got pretty much everything off the floor before hand, but there were still a few things. If you need a good excuse to clean things out and de-clutter, getting your carpet professionally cleaned is a great way to do it. I didn't say this to EcoClean when I scheduled, but I was very curious as to how different of a job they would do compared to the carpet cleaner I got for Christmas. Let me just say it wasn't a minor difference, it was a huge difference! My carpet cleaner only does maybe 20% of the job they did, and that's if I do an extremely thorough job. Overall the carpets were way cleaner, got more spots up and dried faster too. Especially in my high traffic area's. I tried to take before and after pictures, but the lighting wasn't as good. You can see in this picture the part they had cleaned on the right, and the part they hadn't on the left. My high traffic area's is where I was the most difference. Also some companies use harsh or cheap products that strip carpets of their protective coats, which is another reason to go with EcoClean. They have all natural safe ingredients and also use a clean rinse to remove all chemical and give your carpet a more thorough deep down clean. If not done right, they can leave a sticky residue actually making carpet dirtier faster. EcoClean has a process done by professionals. They had great customer service and were very helpful, answering all my questions. We moved into our home about a year ago already wanting to replace the carpet upstairs. I've mentioned before that I was waiting to finish the family room downstairs before doing it, but I may just hold off now. One thing I learned while they cleaned the carpet was time frames of cleaning your carpets and scotch guarding it. They recommend at least annually to get it professionally cleaned maybe even 18 months if you take good care of it. When you buy new carpet the protective coating on it usually lasts approximately 3-5 years. When most people hit the 7-8 year mark they think the carpet is just so done it just needs to be replaced. Did you know you can just get it scotch guarded again to help it last longer? I had no idea you could even do that! They recommend doing that about every 1 1/2 - 3 years depending on amount of foot traffic. I had him do my high traffic area's for more resilience. Now I don't get as mad when a kid forgets and runs across it with his shoes on. Follow them on Facebook, Google Plus or twitter for deals, discounts and yes giveaways for free carpet cleanings in Utah from time to time. Right now is a great time to get it done, in getting a jump on your spring cleaning. Just tell them you read about the review on my blog and give them the code 'SAVE25' to save 25% off! One thing I learned about and am excided to do in the near future is have my couch cleaned and scotch guarded. We love our couch and spend a lot of time on it. Now that it is 8 years old, the scotch guard on it has worn off and it is due for another one. Don't forget to check out their website for more than just carpet cleaning in Utah. Recently, I got the chance to receive the services of the famous carpet cleaning professionals in Cape Town, and I would not deny that I was deeply impressed with their technical proficiency and the way they used their common sense in simplifying the task, and make us feel comfortable while they carried out the cleaning processes. The professional carpet cleaners are aware of using the tried and tested methods that take away the blots and blemishes from the carpets, and makes them spotlessly clean. I am very happy to have to visit here and learn about cleaning old persian carpets. Its is great way to clean the carpet. Well honestly speaking that was informative. Keep up the great work. Looks like they did a good job! Hiring a cleaning company for spring cleaning is a great way to start a new year. Getting a professional help through hiring a carpet cleaner is not a bad idea at all. They help improve the products's durability as well as the length of time that elapses before damage starts to incur by properly installing and maintaining the flooring. The great edge of hiring them is that they are professionals who are readily equipped to properly restore any particular spots and spills as well as replace flooring that has been damaged. I am telling you, you will never go to waste in paying their service. Because it acts as a filter, carpet will become terribly dusty. as a result of each indoor pollution and traffic, it will get extraordinarily dirty over time, for more information click here carpet cleaning marlton. This is a very great blog! It is very informative. Immaculate Carpet Cleaning is also like this. It was good thing to know about this eco-clean carpet cleaning. That seems so wonderful reviews which is really ideal for us to use for or cleaning works at home. Good to see your blog, it was really been useful information to me. So happy to see another post from you! Hello,Really nice post.The best initial phase in legitimate carpet maintenance is successive vacuuming,which uproots profoundly inserted dirt, sand and particles which will part and destroy the carpet fibers.Good day. Definitely sounds like a great carpet cleaner service! I don't really need my carpets cleaned right now since I just had them done last month, but I could definitely use their upholstery cleaning services - you should see how bad my couch is! This is perfect for me. I have been looking for a good carpet cleaning company. I don't think I have had a deep clean since I have moved in. Thx for sharing however it looks like the blog shows deception. The reason is I never see carpets with an even layer of dirt like that is being shown. amazing !!! good work. keep it up. find shredder from here. get more info about Handheld vacuums for pets. I love this sharing for this post. this is a good thing yeah very good. That's a well managed and informative blog. Keep bringing more value in your blog. I also love to share thoughts visit my site too and let me know what are falsies are there. very appreciated great post! Keep it up. s for sharing this amazing information.